Press releases are a powerful tool, but they only work if people see them. If your core audience is the people in a local community that has a daily newspaper, that’s still one of your best bets for getting the word out. But before you can get your story in the paper, you have to get it past the reporter and editor. These guys are typically drowning in press releases that are competing with yours, and they have itchy trigger fingers. 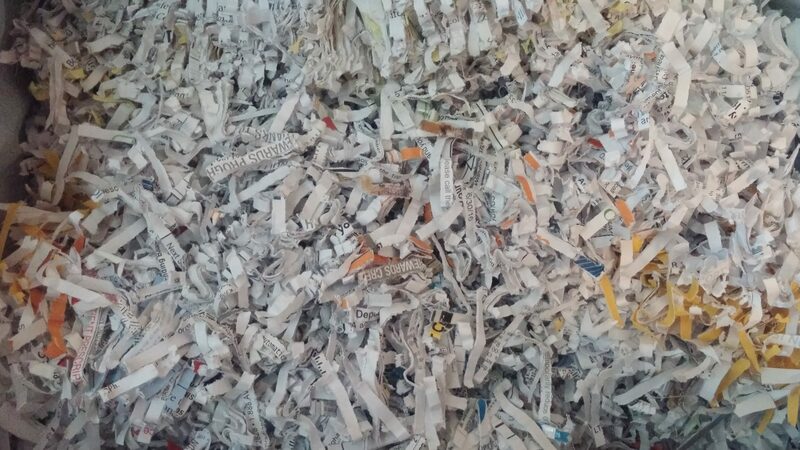 So here are some common mistakes that get press releases thrown in the trash. Make it longer than 300 words. News stories are short and getting shorter all the time. The longer your release is, the more time the editor will have to spend cutting it down to size. Creating extra work for someone who’s already overworked is a terrible idea. Spend some time reviewing the paper’s web site and count the words in a few business-related articles. If most published articles average 200 or 300 words, you’re just hurting yourself by sending them something with 600. Write it without quotes. News stories live on quotes, and quotes come from people. Real people, with real names. Write a couple of punchy quotations that summarize your story. Punctuate and attribute them properly, and put them very near the top of your story. And make your quotes from just one person. That might be you or your seller. It’s tempting to “spread the love” by quoting two or three people, but journalists hate that worse than a root canal. Leave off the contact information. Right at the top of the release, give the name, phone number and real email address of the person who can answer questions. Make it somebody who answers every call, because a reporter on deadline probably isn’t going to try more than once. It also needs to be someone who knows enough to answer questions and has the authority to do so. Bury the important facts. While many things have changed about the news business in the last few years, one thing remains the same as it was 100 years ago. Every news story has to have the basic elements — who, what, when, where, why and how. The faster and more clearly the release gives those elements, the better your chances. The time-honored “inverted pyramid” style — which dictates that the most important facts are in the first paragraph — still works the best. Don’t get cute and hide the basics beneath a layer of clever prose. If a reporter wants clever, she’ll write it herself. Hype your company. The reporter has no earthly interest in promoting your company or even helping you sell your assets. Business releases traditionally include a “boilerplate” paragraph at the end. The shorter and simpler yours is, the better your chances of getting your press release used — maybe even with the boilerplate. Send a paper copy or PDF. Your best hope of getting your press release used is for the journalist to copy it into a new document and quickly make some edits. So make it easy by putting the text into an email. Don’t attach a Word document. Unsolicited attachments are a security risk, and some media organizations have policies that forbid journalists from opening them. Send it to a reporter who no longer works there. Newspapers have been shedding reporters and editors by the thousands. How many thousands? More than 22,000, according to the most recent numbers from the industry, but those don’t reflect the steady stream of layoffs in the past few months. Don’t assume the guy who covered your auction three years ago still works there, and if he does, remember that he or she may be on a different beat. At the very least, check the newspaper’s web site. You’ll usually find a “Contact Us” link that may have the names of contacts for various stories. If not, you’ll probably get a form to submit your press release without a name attached to that. Use it. At least that’ll probably go to a mailbox that’s being monitored.